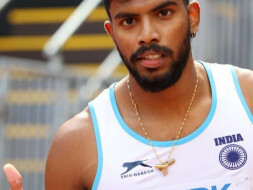 Siddhanth Thingalaya is an athletics national record holder for the 110m hurdles and India's bright star for a gold medal. In 2018 Siddhanth needs to participate in multiple international events in the run up to the 2020 Olympics. 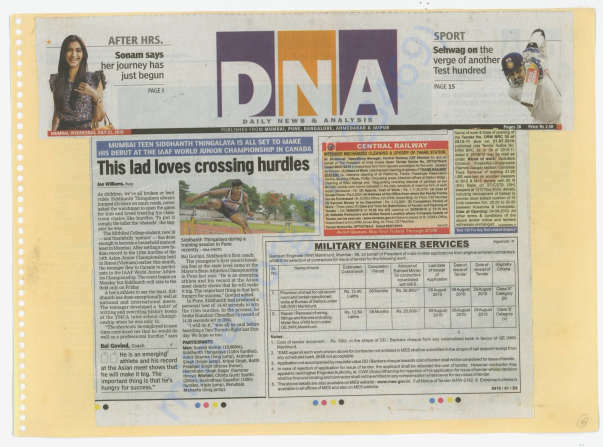 There are no coaches in India for hurdling hence Sid needs to train under a coach in the United States. Sid has no sponsorship from any commercial organization and even the Sports Authority has not yet included his name for the TOPS scheme for the monthly Rs 50,000 sponsorship. Sid needs to compete internationally against the best in the world as competing in India does not give him the necessary exposure. Sid has previously been sponsored by the JSW Foundation & the Mittals Champions Trust, but both these entities now have different priorities. In 2018, Sid will also be competing in the Commonwealth Games in Australia, The Asian Track & Field event in Indonesia and many other world class events which will ensure that he gets to the gold class standard of the Olympics soon. Sid's parents (PSU bank employees) can be called true patriots and nationalists as they have dipped into all their savings and pensions only to see that Sid & India can make us proud in Japan in 2020. If you believe that your smallest of contribution can help us hold our head high in the world with regards to getting our first ever athletics gold medal, please open cheque books and donate wholeheartedly.